TekMark Australia presents the GW Instek GSP-730, a range of 3GHz spectrum analysers developed mainly to meet RF communication training requirements. The budget constraint and the lack of teaching tools prevent schools from providing good courses for RF communication experiments. Featuring all the functions of a moderate spectrum analyser, the GSP-730 together with the GRF-1300 training kit provides an economical turnkey solution for 3GHz RF communication experiment courses. The combination of GSP-730 and GRF-1300 forms a fundamental training system for RF communication and telecommunication classes in universities, colleges and vocational schools as well as the training centres of defence and private companies. 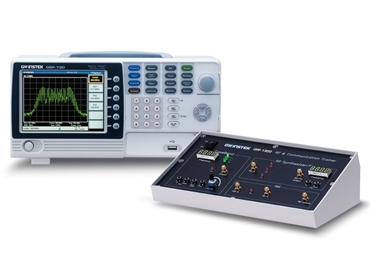 In addition to serving the needs of the education and training segments, the full function GSP-730 3GHz spectrum analysers featuring spilt windows, ACPR, OCBW, Limit Line and Marker Table functions provide a high price-performance value for the service and hobbyist applications of RF communications. The affordable solution of GSP-730 and GRF-1300 greatly lowers the budget barriers for providing fundamental RF communication education, enabling schools to install more training stations for RF communication experiments. A high performance 3GHz spectrum analyser, GSP-930 is also available in GW Instek’s portfolio for advanced education and higher level applications.